Dermody, Burke & Brown, CPAs, LLC recently hired Charlene Bellinger as an Associate in the New Hartford office. 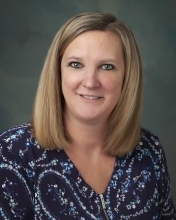 Charlene comes to the firm with several years of accounting experience, including accounts payable, accounts receivable, financial statements, sales tax, payroll, and account reconciliations. Charlene received an Associate’s Degree from Central City Business Institute. She resides in Vernon, New York.